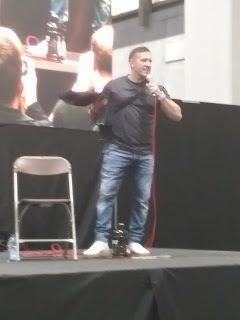 Last weekend I went to Birmingham Film and Comic Con (BFCC, previously know as Collectormania). It isn't the biggest event I go to, since in July I'll be going to one in London, but it was definitely a good one. The guest line up was really impressive, there was a bit of something for everyone, even sports stars, although I didn't bother with any of those since I'm not really a sporty person. 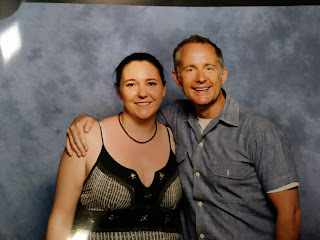 The main draw for me this time was the wonderful Billy Boyd, and he really was a great guest. 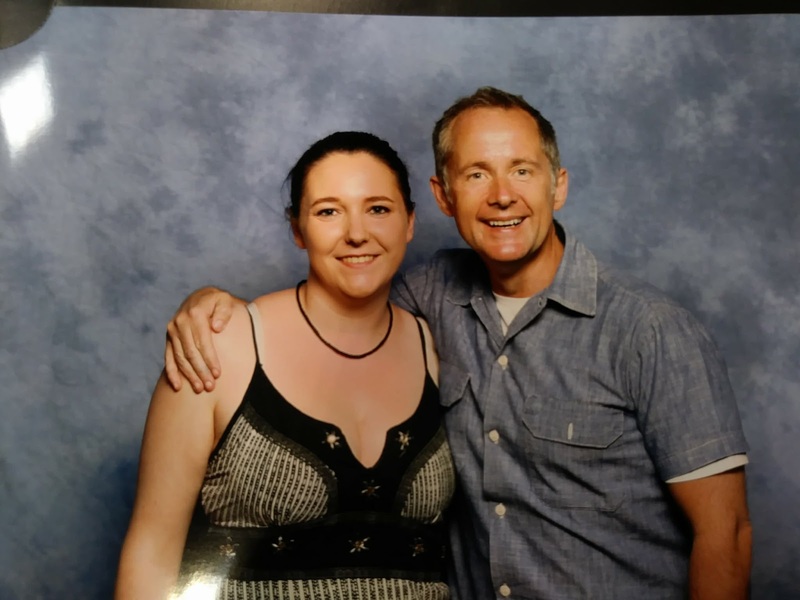 Polite and chatty with everyone, very gracious when I told him how awesome he is, and even though he likes clowns I won't hold it against him. Unlike bigger events I've been to, the stalls were well spread so there was room to walk up and down without having to push people, which is great since events like this one tend to get quite warm due to the sheer number of people attending. The stalls had more variety than I'm used to as well, it was nice to see stalls selling something other than just Pop Vinyl figures for a change (I love them, but there are only so many you can look at in a day). 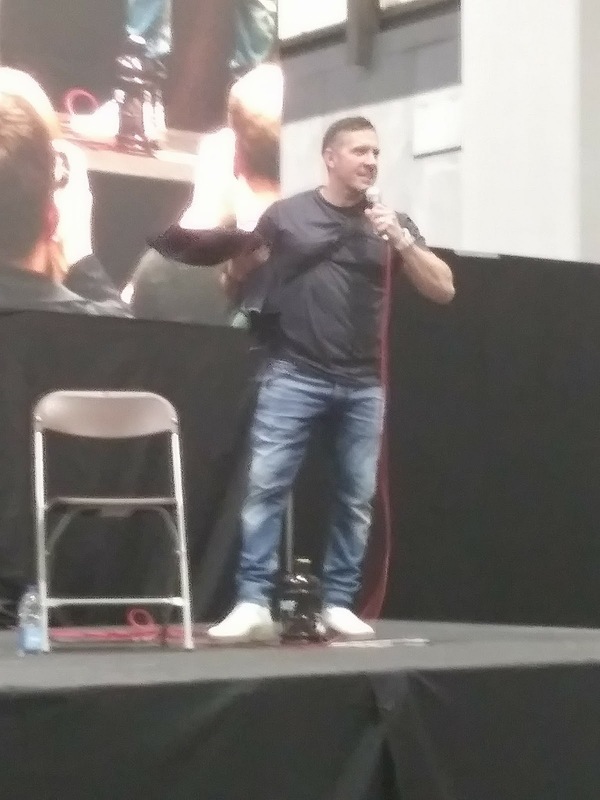 As always the talks were well organised, I was too busy to go to any of the cosplay talks which is a shame since I would have loved to catch the one on corset making, but Ray Park was a joy to see in his talk, even though I did accidentally get a spoiler which I won't mention in case it's a spoiler for others as well. The main issue that seemed to arise on the day was with the virtual queue (VQ) system, that worked well for some of the signers, but seemed to break down for others. For example Ray Park didn't initially have VQ, but was so popular that they had to start handing them out part way through the day, whereas Christopher Lambert's seemed to run smoothly from the very beginning. One notable problem that arose was with the VQ for Robert Englund, the best word for what happened in that case is shambolic. At the beginning of the day we went for a ticket for him, and this was at about 9.10 so right after opening, we got ticket 116, but I noticed later that people who were there before us had tickets in the 300s. Not only had they presumably been using more than one book of tickets, they also somehow ended up handing out Emily Kinney tickets instead. So getting his autograph seems to have been the luck of the draw. I will hand it to the staff, they did their best all afternoon to try to fix things, and took a lot of abuse in the process. They organised it as best they could with the previous mistakes, but there were a lot of unhappy people. 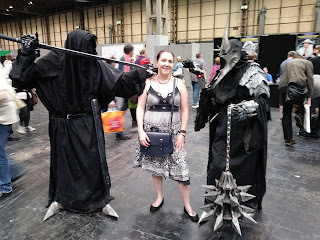 I saw some fantastic cosplayers, my favourites being the mouth of Sauron, and the Nazgul. I have to hand it to the wraith, he scared the pants off of me while we were posing for a photo, his eerily accurate hiss of 'Shire, Baggins' was pretty chilling. I didn't cosplay this time, but props to those that did, it was a really warm day so they are definitely the heroes of the day. That being said, even though there was a lot of stress and confusion, not to mention backache from queuing, it was actually overall an amazing day, and I'd do it all again in heartbeat. Oh dear, sounds like they really had issues. Great you still had fun and hopefully they'll have ironed them all out if you return next time. My oldest son would love it here! Well when I did vampire Willow I got changed at the services on the way to London so I was ready when I got there, but the guys I was with just changed in the carpark since they could get away with it. Despite the issues it's good to hear that you had a great time and that the guest line-up was so impressive! I hope you have as much, if not more fun at the London event! Sounds like you had a great time despite the issues. I hope you also enjoy the London event! Sounds like a bit of a nightmare with the queues but a fun event nonetheless. I can imagine that Robert Englund would be a huge draw. Oh gosh - the virtual queue system seems to have really messed up. I hope it didn't ruin you day. Comic con is such a nice event. I want to attend that too! Sounds like an interesting day with lots of fun things you experienced at the same time some little hassles. The film and comic con sounds like a fab event that I would love to head to as well. I have never really heard a lot about comic con but I have a friend who is obsessed with it and goes to a lot of conventions! Oh dear, but I'm glad you had a good time anyway!